Bob was first licensed in 1977 as WD9FNW and upgraded to Extra class in 1979 to the call sign AF9W. His primary interests in ham radio are HF CW, QRP, DMR, D-Star, FM repeaters, and some digital modes. He has built and operated APRS digipeaters/iGates, Winlink Packet Gateways, and digital mode hotspots for DMR and D-Star. He currently operates a BPQ32 packet node, AF9W-7, which includes a packet RMS Gateway, AF9W-10. Bob is active in ARES/RACES as a member of the Island County ARES/RACES group and is a FEMA AUXCOMM. He enjoys operating at public service events including RAMROD. 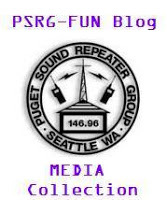 Club affiliations include the ARRL, CWOPS, Fists, SKCC, NAQCC and PNW QRP. Bob is an active VE and enjoys elmering new hams. He resides on Whidbey Island, WA and is the current president of the Island County Amateur Radio Club. DMR is a fast growing digital mode designed for commercial use and adopted by amateur radio operators. This presentation introduces DMR and covers some of the basics to provide a better understanding of how DMR works and how to operate within a DMR system. 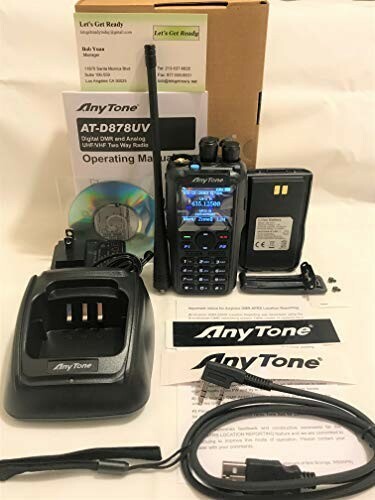 PSRG has received a donation of an AnyTone AT-D878UV GPS DMR handie-talkie which will be awarded as a door prize at the Annual Meeting. You need to be in attendance at the annual meeting to win. We’ll have light snacks, coffee and soft drinks.